The first question must be asked, “Why did Sarah lie?” Abraham asked Sarah to say that she was his sister because he feared for his life. “Surely the fear of God is not in this place; and they will slay me for my wife’s sake” (Genesis 20:11). Then he explained to the king that she was actually his sister after he was caught in the lie. “And yet indeed she is my sister; she is the daughter of my father, but not the daughter of my mother; and she became my wife” (Genesis 20:12). Sarah was a beautiful woman and Abraham thought that these people were so wicked that they would kill him for his wife if she didn’t lie. Was she in sin? She did obey her husband and she didn’t want her husband to die so I wouldn’t call it sin. In fact, God closed “up all the wombs of the house of Ambimelech, because of Sarah Abraham’s wife” (Genesis 20:18). God protected Sarah even though she “lied” to the king. If the Nazis were coming for my husband to put him in the death camps, you can bet I would lie about his whereabouts. God is more concerned with life than a lie to protect that life. 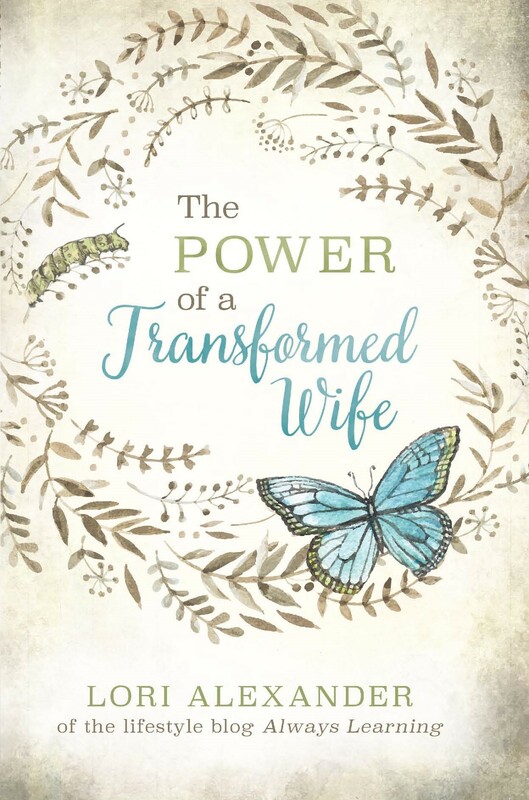 Therefore, Sarah is held up to us as a submissive wife for us to follow because she lived in submission to her husband by doing as he told her to do even though it put her in danger of the king wanting sexual relations with her. God protected her in her submission to her husband by speaking to the king in a dream and telling him that Sarah was Abraham’s wife and he would die if he didn’t give Sarah back to Abraham (Genesis 20:3-7). Was Sarah perfectly submissive to Abraham all the time? No, because she wasn’t perfect as none of us are but she had chosen to obey God in her submission to her husband and she adorned herself with it as we are called to do. What if a husband does ask a wife to sin and it doesn’t have anything to do with saving his life? I do know that if a wife is living in loving submission to her husband and submitting in the little and big things, she has a much better chance of her husband listening to her and being able to say “no” to him while still respecting him, if he does in fact ask her to do something she considers sinful. She will be able to give a gentle appeal that he will most likely listen to because he will know that her heart is to please him and he will probably feel badly that he asked her to do something sinful. But even if a wife thinks her husband is wrong about something, but it’s not sinful, she must obey her husband. Most women need to focus upon this instead of the “what if…?” exceptions to submission. It’s a difficult thing, isn’t it, to follow/obey your husband’s leading, especially when you know it’s a questionable situation. 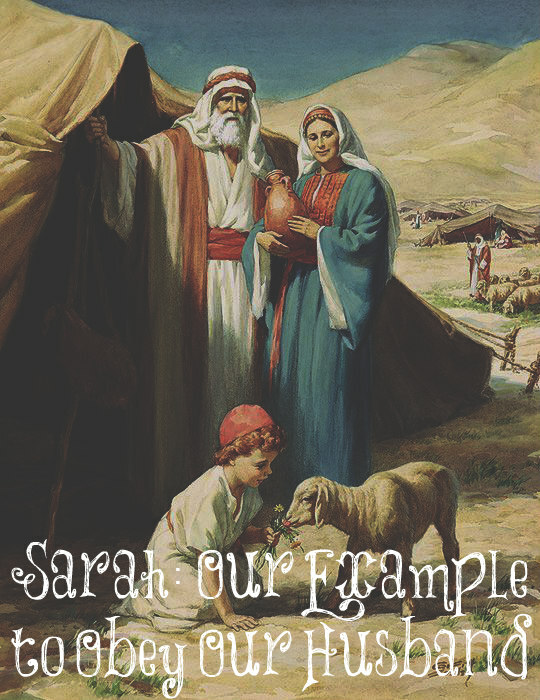 Sarah did obey Abraham unquestioningly and God used her, ultimately, to work in Abraham’s life and the Egyptians, but most importantly, to show forth God’s glory. Sarah didn’t get the glory. Abraham didn’t get the glory. The Egytian Pharoah didn’t get his lust fulfilled. No, God received the glory. I like seeing that even though our heroes of the faith made mistakes, God still used them to work out His plan for their lives. So, when something doesn’t go exactly like I think it should, or a situation is outside of my control, I realize that God is using it, somewhere, somehow down the line.